Riversoul exists to help families navigate drug and alcohol addiction. 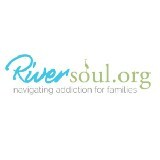 We believe in nurturing ourselves in order to nurture the addicts that we love. Riversoul hasn’t been active on Medium yet. Check back later to see their stories, claps, and highlights.